When it comes to cloud solutions for your enterprise, there are three deployment options – public, hybrid, and private. As you consider these structures, it’s important for you to understand that they each come with their own advantages, disadvantages, and specific features. Public Cloud: Using a public cloud system has the highest exposure to enterprise security risk, but offers the lowest cost of deployment and maintenance. A main feature of the public cloud is that it accommodates multiple customers within the same infrastructure or on the same server along with some resources, such as storage, being shared between users. Private Cloud: The private cloud offers the lowest enterprise security risk, but is the most costly. There are two data center options for this cloud system to choose from: either internally host information on enterprise-controlled hardware within the organization’s data center, or externally host it on hardware dedicated solely to the enterprise at a provider’s data center. Technically, a private cloud should not share resources with another customer. Hybrid Cloud: A hybrid cloud solution has an enterprise security risk assessment between the public and private cloud infrastructure and its cost depends on the specific features you choose. This solution relies on interconnected private and public cloud systems. This means that some resources are pooled, but fewer than on a public cloud system. This deployment option is an ideal solution for many organizations. Focus on logical segregation. With a public or hybrid cloud solution that shares resources, it is important for your security manager to focus on the separation of customer data within the server. They should identify if your enterprise data is combined with information from other customers, making it difficult or impossible to properly archive or destroy data when you need to. Logical segregation can also prevent attackers from entering through a weaker customer’s cloud and leaking into your enterprise’s cloud by having your provider ensure all customers hosted on the same server maintain a similar security position. Perform a security audit. An audit determines whether your cloud service provider is following industry best practices, such as patching and updating operating systems and applications. An audit might reveal surprising areas where the cloud provider has security controls your enterprise lacks. Performing a cloud security audit also holds your provider accountable and allows your security managers to manage the risk of someone interfering with your cloud or network operations. Enforce general security measures. 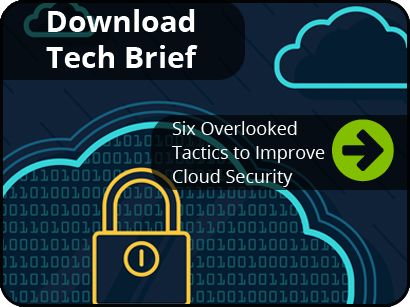 Cloud services still face many of the same threats as traditional onsite technology such as phishing, viruses and other malware attacks disguised as legitimate emails and websites. If the user opens a bad link or attachment, the enterprise network is then at risk. Enforcing general security measures, such as keeping software up to date with the latest versions and patches as well as monitoring user access, will also help protect your enterprise and the information you have on the cloud. Determining which cloud solution is best for your organization with the right security measures can be overwhelming; let our experts at WEI help! 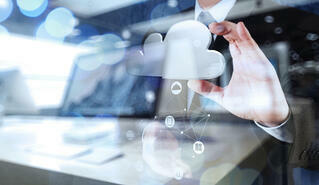 We specialize in designing and implementing systems that meet your specific enterprise needs. Contact us today to learn more.